I can’t tell whether Aayirathil Oruvan movie is a commercial success or has an uniform critical review, but I can surely tell it has sown enough curiosity among the viewers to find how much history is there in the movie. This post is one such post aiming to clarify few such doubts (to be exact just one!). There surely is a relic that the Cholas had quest for more than 50 years to conquer. But the relic was not an Idol of god special to Pandiyas. Rather it was beautiful jewel called Indra Aaram and the royal crown. The following three Parts are guest post By Mr.Vijay Kumar. Contents of his essay are edited by me to suit the taste of my readers and few additions are also made by me to add details to his post. Let us look at the records in history which give as idea how valuable these relics were. In 910 AD , the Chola King Parantaka I (907-955 A.D.) invaded the Pandya kingdom. He captured the Pandyan capital Madurai and assumed the title Madurai-konda (Capturer of Madurai). From Mahavamsa(http://en.wikipedia.org/wiki/Mahavamsa) we get to know there were three stages to the Invasion. The Pandyan ruler Maravarman Rajasimha II was defeated in the war . Rajasimha sent numerous gifts and sought the help of Kassapa V(913-23 A.D.), the king of Sri Lanka, who sent an army under his general Sakkasenapati to his aid. Parantaka defeated the combined army of Pandya and Ceylonese at the battle of Vellur. The Pandyas and Ceylonese retreated. The Ceylonese army made a last ditch effort of an attack against Cholas but there was attack of severe plague and their general Sakkasenapati succumbed to the plague and the Ceylonese army retreated. 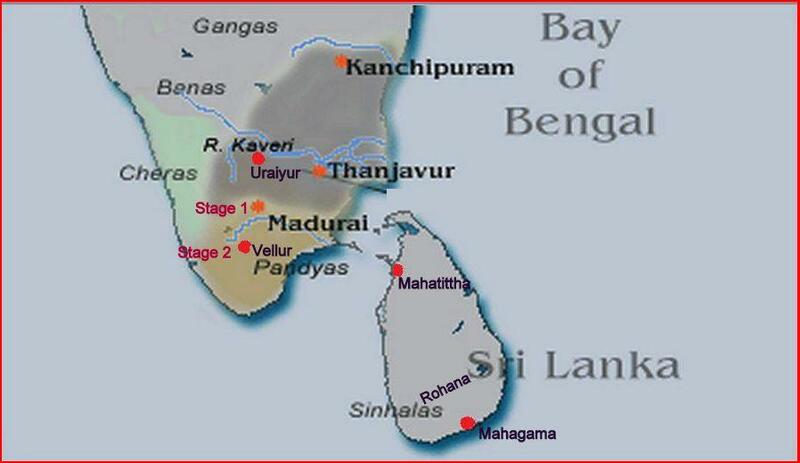 After the defeat of the combined army of Pandiyas and Ceylonese at Vellur paved way for Cholas to lead further conquest into the Pandiya county and annex it completely. This led the Pandiya king to flee his kingdom and take refugee in Sri Lanka under the reign of Dappula IV (923-934 A.D.) in the city Mahatittha. He stayed there for some time , but realized its is of no use staying in Sri Lanka and hence he left as his Diadem and other valuables behind and went to Kearla. Kerala was home of the mother of the Pandiya King and hence he took refuge there as last resort. Parantaka spent many years in the newly conquered country and made it part of Chola Kingdom. He wanted to celebrate annexing Pandiya Kingdom by crowning himself with the royal crown of the Pandiyas. However Pandiya Rajasimha played spoilsport by surrendering all his crown jewel to the King of Ceylon. This meant that it was an unfinished business to Paranthaka. Hence he sent messengers to Sri Lankan King Udaya IV (945-953 A.D.) to return Pandiya crown jewel to him. When the Ceylon king refused to do so, Paranthaka decided to invade Ceylon to seize the royal crown jewels of the Pandya. Paranthaka’s army defeated and killed the Senapathi of Ceylon army this made the Udaya IV take all the Pandiya crown jewels and shift his base to deep South of Lanka in Rohana. Paranthaka’s army retreated knowing that it was too much of effort to move south and hence decided to retreat. These events happened in the last years of Paranthaka’s reign. After his exploits in the Pandiya country and in Lanka, Parantaka I took the title of Maduraiyum Elamum Konda Parakesarivarman (Parakesarivarman who conquered Madurai and Sri Lanka). Part 3: Capture of Indra Aaram by Rajendra Chola. Valentine’s day originated in Tamil Nadu? Thanks for hosting this vairam. Hope it helps readers get a better feel of history and how it intervines with people’s lives. True history has something in it that is really intoxicating……sadly, a genre that is yet to be seen separate from mythology. Vairam, I am very close friend of Vijay (cricket pals) he used to chat about all these things when ever we meet. Unfortunately I have listened and followed him only little and perhaps too tired (after the cricket) – good excuse you see.! But I stumped into this blog, through Vijay again and loved your writing perhaps I am more inclined to your likings – controversies. Keep writing.. very interesting indeed. Pandya, wearing a long white necklace (presumably of pearls) and his body glistening with sandalwood paste, is mentioned also in Kalidasa’s Raghuvamsam (6.60). Thank you mam for the reference. Will use it in the critical study I am doing on Indra Aaram. I have one doubt is the film tells the true story of Pandian kingdom. Whether the people from Pandian king families they mingled with the ordinary people. there is nothing true about pandyas in the movie…. 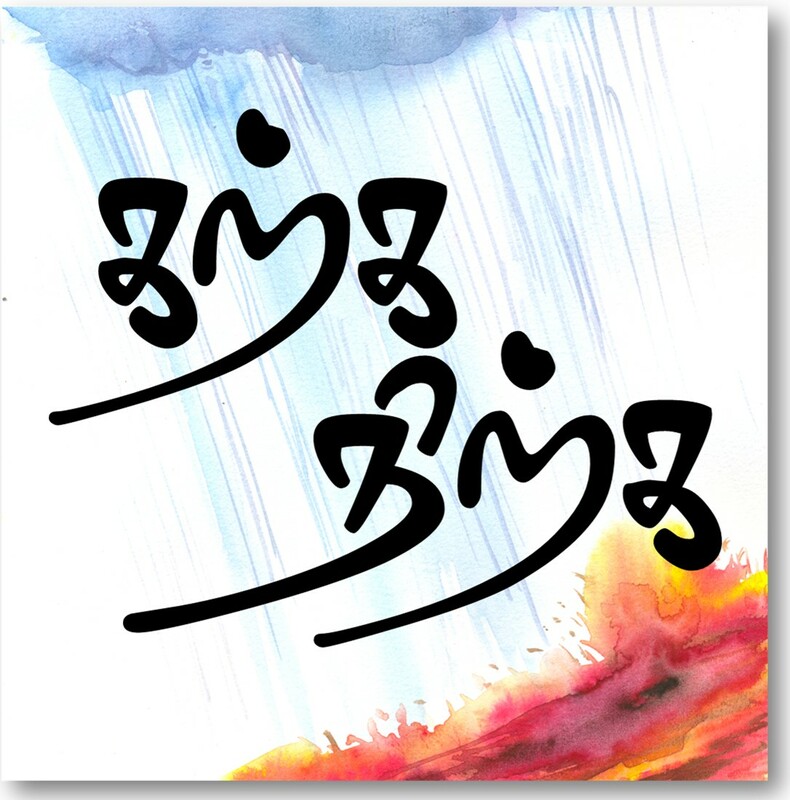 உங்கள் முயற்சிகளுக்கு வாழ்த்துக்கள் வைரம். அமெரிக்கா உட்பட பல்வேறு உலக நாடுகளில் வாழும் இன்றைய தமிழ்த்தலைமுறைக்கு தாய்மொழி அறிவும் குறைவு,ஆர்வமும் குறைவு.. உங்களைப்போல அயல்நாடுகளில் உள்ள தமிழர், தமிழ் மீது பற்றும், தமிழ் இலக்கியங்கள் மீது ஆர்வமும் கொள்ள வேண்டும்..
Its clear that the invincible pandyas, cheras and cholas had many conflicts, and anyone with adept political acumen could easily make use of the situation to conquer the the South India. It is eversurprising for me to understand why the Mughals lacked interest to penetrate the reign of muperuVendhargal. Anyway its one of such questions I have when I read Indian and Tamil History. Thank you so much for the great work! Keep you good work going..
PS: Forgive me for the wordiness of the comment.